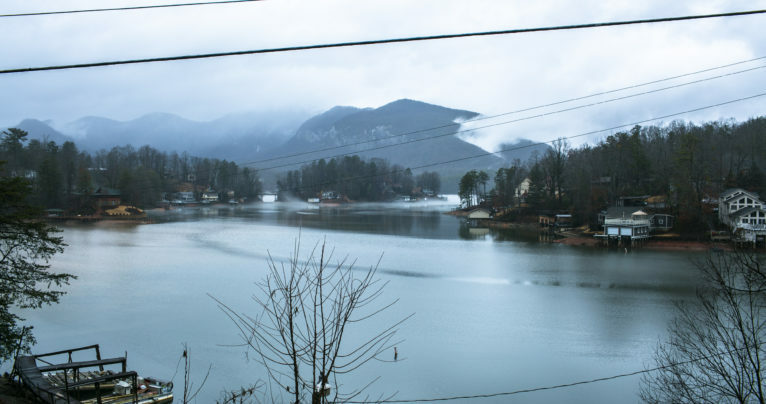 After North Carolina environmental officials and engineering consultants warned the town of Lake Lure that its high-risk dam urgently needs repairs, town officials are preparing to spend up to $5 million on a massive maintenance project, which could get underway this fall. 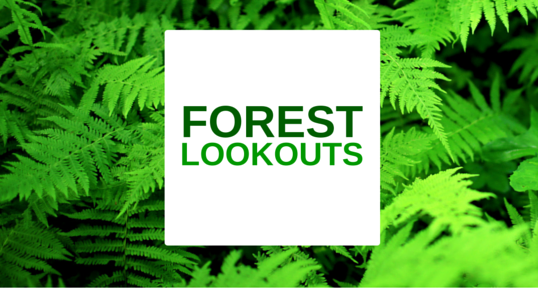 But correspondence to town leaders from the North Carolina Department of Environmental Quality and its predecessor agencies shows years of warnings and requests for information went unanswered. A dam engineering consultant said there is little evidence that the town had performed any necessary maintenance at all on the dam over a long period. Mayor Kevin Cooley, who took office in January, told Carolina Public Press last week that he credits Town Manager Ron Nalley with taking initiative once he became aware of the issue. Although Cooley said he does not want to criticize previous town officials, he believes it was “fortuitous” than Nalley, who was previously the town manager in Montreat, took the Lake Lure job in 2016 and decided that the town should take concerns about the dam seriously. Cooley, who is a retired civil engineer, said he has reviewed the same records that CPP has and also wonders why no one acted earlier. He said he doesn’t know whether making small repairs when they were less urgent over the years would have saved money in the long run. But having to spend so much on one massive project will not be simple and the town is still exploring options, such as bonds. 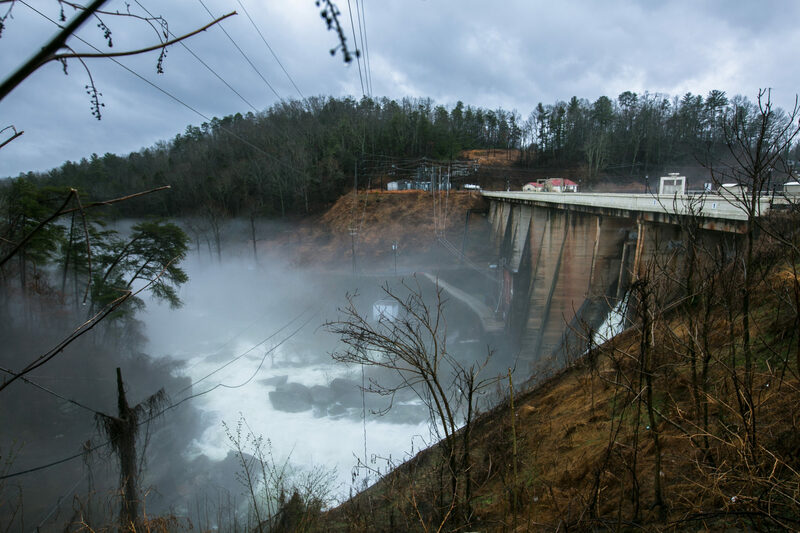 An obvious concern is that the dam could fail, with horrific consequences for persons and property downstream on the Rocky Broad River, as well as dire economic consequences for a mountain resort community built around the scenic lake the dam created a century ago. However, Cooley said he is confident that there will be no short-term collapse if the town gets to work relatively soon. However, the mayor also understands that residents and property owners are alarmed. “We’re trying to be transparent and accurate,” he said. DEQ spokesperson Bridget Munger told CPP that the agency’s dam safety specialists are currently reviewing the town’s multi-phase repair plans, but initial reviews have been positive. Cooley said he is confident in the plan that the town developed with dam engineering consultant Dan Marks, but the mayor still values having the state sign off on the project before seeking bids. Following an annual dam inspection in early 2015, DEQ Regional Engineer Laura Herbert warned the town of several defects including seepage, cracking and weathering, a propane tank set up too close to the dam and a lack of monitoring for temperature and leak-flow rate. “During this inspection, we also investigated the potential for property damage and loss of life in the event your dam fails,” Herbert wrote. “This investigation determined that failure of your dam could result in serious property damage and loss of life. Therefore, we will continue to list your dam as the ‘HIGH hazard’ category. This category doesn’t mean that the dam is necessarily likely to fail, but that it’s failure would have serious consequences. Although Herbert’s letter noted that the town had recently taken action on a few items that DEQ had asked for previously, including one set of repairs that had already failed, she also pointed to multiple previous directives from the state going back to 2006 that had gone unanswered. This included hiring an engineering consultant to conduct a more comprehensive visual inspection of the dam every five years and analysis of the dam for its resistance to the small earthquakes that occur with some frequency in the region. 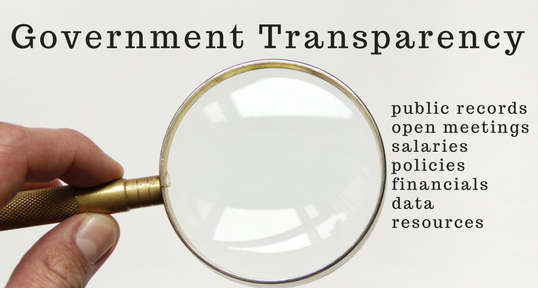 CPP made a public records request to DEQ for the town’s responses to the agency’s many requests for documents and information. DEQ spokesperson Munger confirmed what the series of letters indicated — the state agency has no record of the town complying with those requests. Another state letter to town officials following a May 2017 inspection described precisely the same issues in nearly identical wording from DEQ Regional Engineer Stanley Aiken. Aiken noted that as the owner of a high-risk dam, the town was supposed to have submitted an Emergency Action Plan by the end of 2015, which was then more than a year overdue. Aiken also referred back to previous requests for action and information in letters the state sent town officials over the previous decade, the same letters mentioned in the 2015 letter from Herbert. The town had still not responded. As the new town manager, Nalley was the recipient of Aiken’s letter and decided the situation called for action. A key step was bringing in Marks as the town’s dam engineering consultant. Marks issued his report to town officials at the end of 2017, which may have come as a wake-up call for those who didn’t realize the state had already expressed concerns about the dam. He first scolded town officials for not keeping better records. “The lack of the … information and documentation of routine operation and maintenance activities was disturbing relative to existing dam safety issues,” Marks wrote. In addition to the problems that earlier DEQ inspectors had identified, Marks noted several new concerns. Reinforced concrete in the dam’s structure had lost strength over the years, leaks through construction joints were excessive, compounds used to cement the joints were dissolving and coming out in the leaks, deep rusting and deterioration of steel was taking place, evidence pointed to excessive seepage under buttress foundations, some of the dam’s bays showed less than desirable stability, steel plates had lost thickness and created a risk of dam failure, the structurally significant roadway bridge over the dam was in poor condition. “There are so many conditions associated with Lake Lure Dam and its appurtenances that raise concern relative to the stability and integrity of the dam,” Marks wrote. Cooley said Marks has continued to consult with the town and helped in drafting the multi-phase plan that DEQ is currently reviewing. The plan won’t make the dam last forever, but the mayor believes it should extend its life by another 50 years. That would buy time for the town to regularly set aside funds to build a replacement dam when the time comes. While the repairs will come with a substantial price tag, Cooley thinks the town has good options. 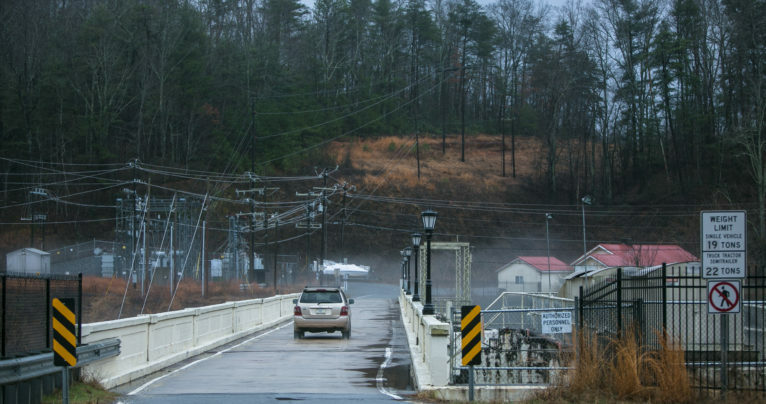 Because Lake Lure sells power from the hydroelectric system to Duke Energy, Cooley thinks the town should be able to use this steady source of revenue as collateral to finance the repairs. It should be easier for taxpayers to pay down this debt over an extended period than foot the full cost of repairs immediately. Because Cooley has worked professionally as a civil engineer, he has a greater understanding of some of the relevant issue than the typical small-town mayor. He expects the full project to cost between $4.5 million and $5 million. He told CPP that he likes the idea of awarding bids on the project to contractors only on each 1-year phase, so that the contract would have to be renewed annually. This would help avoid some of the problems that state and local governments have encountered with major long-term contracts for vital project. Cooley said he thinks the various bidding steps could be completed in time for a contractor to begin work on the first phase of four phases in October. Lake Lure is a town of about 1,200 residents in western Rutherford County, between Gastonia and Asheville. Because of many property owners who visit seasonally, the census count may understate the town’s size. The town was founded in 1927 after the Carolina Mountain Power Company dammed the Rocky Broad River and created the picturesque lake. The town acquired the dam and lake in the 1960s. Currently the town of Lake Lure occupies just under 15 square miles, including about 1.2 square miles of water. Located just east of the eastern continental divide in the Blue Ridge Mountains, the town sits 1,125 feet above sea level. Through the years a number of films have taken advantage of the location’s scenery, including Thunder Road, A Breed Apart, Firestarter and Dirty Dancing.